The Secret Life of Bees... I just got through watching the movie. I attempted reading the book several years ago but was thoroughly uninterested in the way the story was moving. I wonder if the movie is how the author intended the story to be portrayed. In the media, there is an archetype and/or stereotype given to American Black women, pre-civil rights era. It is termed the "mammy" archetype. (FYI: According to wikipedia, "mammy" is now a slur.) The characters in the movie that portray these archetypes are Queen Latifah as well as Jennifer Hudson. They both mother a little Caucasian girl who is in search of someone to love her. I don't necessarily object to the implied relationship between the little white girl, played by Dakota Fanning, and the "mammy's" because the story is probably a product of the time period. It astonishes me though that the same story is perpetuated throughout American Culture, in several American-made movies. White "savior" saves the brown people from themselves, as though we are helpless without them. I think of movies like The Last of the Dogmen starring Tom Berenger. He saves an ancient tribe from the outside world. Dances With Wolves - Kevin Costner gets absorbed by a native american tribe. The absence of multi-ethnic characters in the media of yester-year is staggering. How a society views themself is shaped by the stories that are told. A hundred years from now, maybe two or three hundred years from now, what will our posterity say about us? That "grasshopper", from the Kung-Fu dramatic series of the 1970's, could only be played by a white male (David Carradine)? The role was written for Bruce Lee but he was too Chinese. Is that the story America will leave for it's posterity? That the founding fathers of the United States purported to believe that "All men were created equal", yet every single one of the people involved with the American Revolution owned slaves. Are these the only stories that can be told to America? In traditional Polynesian cultures, we enjoy oral history. Western philosophy requires things to be written before it is considered a valid entry into it's history. However, Polynesians didn't need the documentation for proof. Our proof is in the stories that are handed down from generation to generation, in our genealogy that is carefully, painstakingly preserved in chant. 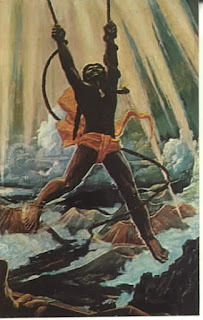 Children of Hawai'i grew up with stories of Maui, the demi-God who pulled the islands from the ocean so that we could live and flourish; who stopped the sun from progressing too quickly across the sky. 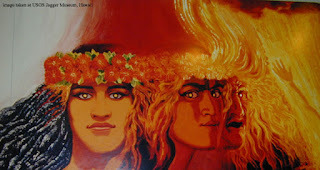 My favorite, above all, are the tales of Pele the Fire Goddess. Though her lava flows destroy everything in its path, the lava creates more land and brings balance to the landscape. Her beauty, her shape-shifting, her jealousy, her love; they make her utterly human. Yet, her ability to create land make her a goddess. These are the stories I want to tell my children one day; that they are part of a beautiful, ancient heritage. That they must have strong, self-assured knowledge of who they are because of where they come from. That they will define themselves and identify wholely with the richness of their birthright. Stories like the Secret Life of Bees will never fall on the ears of my children. And if they did, I will tell them more of the heritage from which they came. Even if the world would call Polynesians savages, my children will know the stories of our ancestors through me and they can determine who the real savages are. Me and my house will never bend to the whims of popular media. I decide my identity, not based on what "they" think of me but of what I think of myself. After living in Japan and experiencing their culture for 18 months , I felt the same way you did when I saw the movie, The Last Samurai staring Tom Cruise. As a native Hawaiian by birth and by emotion I truly appreciate the way you put what most of us Hawaiians feel so eloquently into words. Your words stir emotion and pride, so much so that if you do not mind I would like to quote you to my ohana at our next family meeting. Thank you for sharing your mana'o and aloha so freely and with vivid feeling and detail. Aloha No!